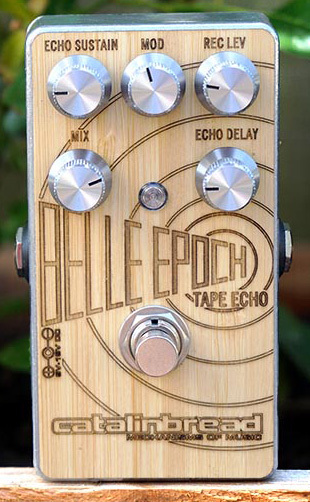 Belle Epoch Bamboo, Delay/Echo/Phrase Sampler for Guitar from Catalinbread. 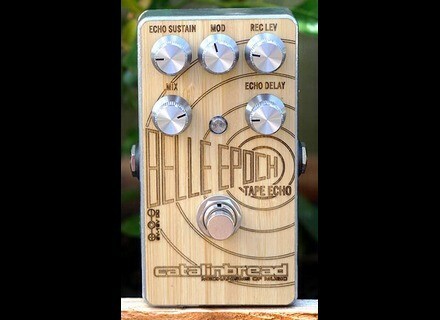 Catalinbread will launch on July 6th an Bamboo limited edition of its Belle Epoch tape echo simulation pedal for guitar. The stompbox will feature a bamboo faceplate with metal chassis, knobs and footswitch, which gives it, according to Catalinbread, an « industrial » look. This special version is hand built and will be available exclusively at www.catalinbread.com on July 6th. The T-Rex Fat Shuga available worldwide Until now, T-Rex only offered its Fat Shuga reverb/boost effect pedal to US guitar players. The stompbox is now distributed worldwide. TC Electronic introduces PolyTune Clip Still polyphonic, still white, but even smaller, the new TC Electronic PolyTune tuner for guitar and bass will glow on your instrument headstock. Classic Gear Spotlight: The Les Paul - Part 2 The telephone rings. Pegg's back suddenly stiffens, she adjusts her glasses before picking up the phone. She can tell by the timbre of the voice that asks for Ted McCarty that it's bad news for her boss.